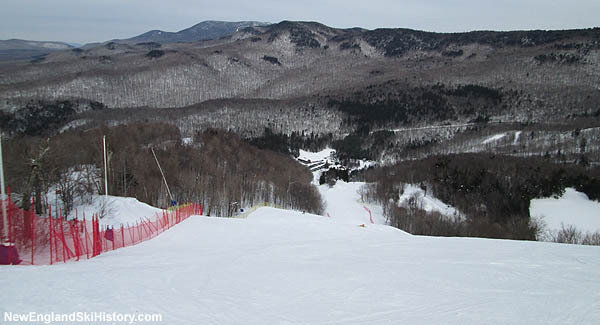 A Little Ivy League school in northern Vermont, Middlebury College has a well known skiing program headquartered at its ski area in the Green Mountains. Located south of Breadloaf Mountain on Worth Mountain, Middlebury College Snow Bowl's ski history dates back to the 1930s when ski trails were cut on the mountain, perhaps in conjunction with the first Middlebury College Winter Carnival in 1934. While the school's first on-campus lift was installed on Chipman Hill in early 1938, a rope tow was installed on the northwest slope of the Worth Mountain in early 1940 by the Middlebury College Mountain Club and Middlebury Winter Sports Club. 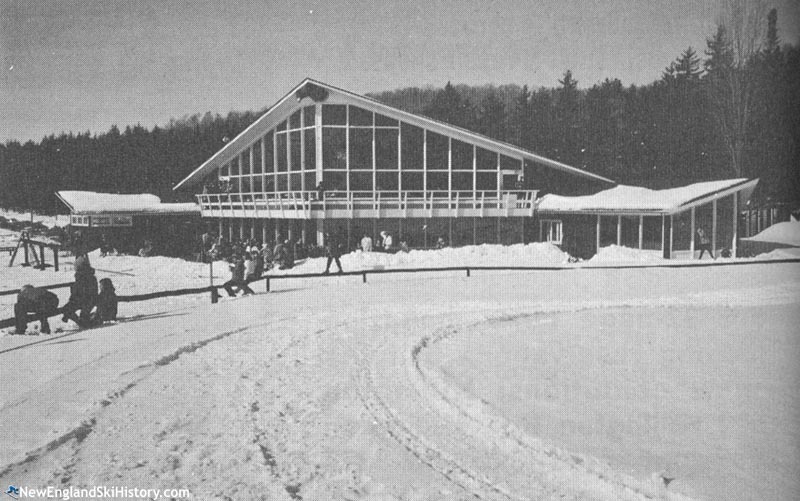 By 1941-42, the Worth Mountain facility was called the Bread Loaf Snow Bowl and was the cornerstone for the school's winter sports. In addition to the 600 foot tow, the facility was noted for the Worth Mountain Trail on the northwest slope and the Pleiad Trail on the northeast slope. By the time the winter of 1942-43 rolled around, the Middlebury Winter Sports Club was discussing plans to expand the ski area to become one of the most popular areas in the East. Circa 1945, Joe Jones became manager of the Middlebury College Snow Bowl and a ski coach. In 1946, the Middlebury Ski Patrol was formed, while a 300 foot wide slalom slope was cut by students under the direction of Jones, served by a new rope tow. By the time the 1949-50 season rolled around, the school reported nearly 90% of its students were skiers. Jones remained the manager of the Snow Bowl until the spring of 1951. 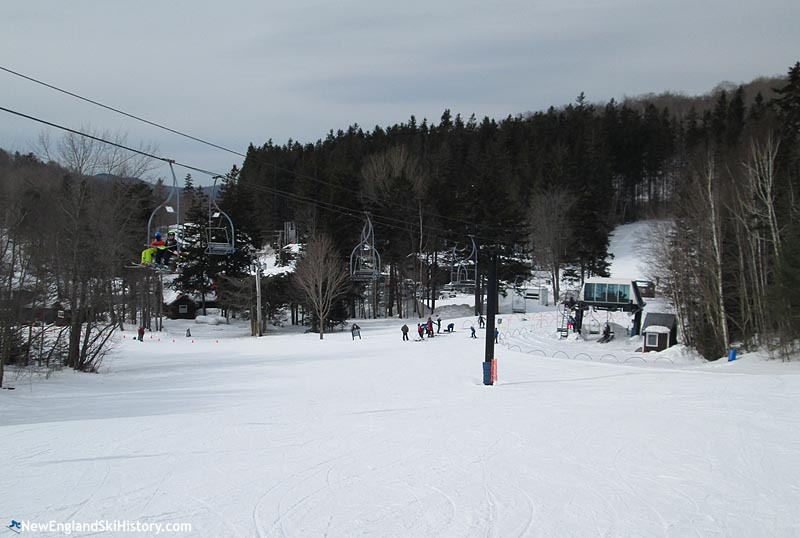 In 1954-55, Middlebury replaced a rope tow with what was billed as the longest Pomalift ever installed at that point, making the Snow Bowl a major ski area that was in turn now marketed to the public. The new lift was funded by Joseph Battell's will and Dr. Stewart Ross, who was dubbed the "godfather of the Middlebury College Snow Bowl." In addition to the new lift, four miles of new trails were opened. 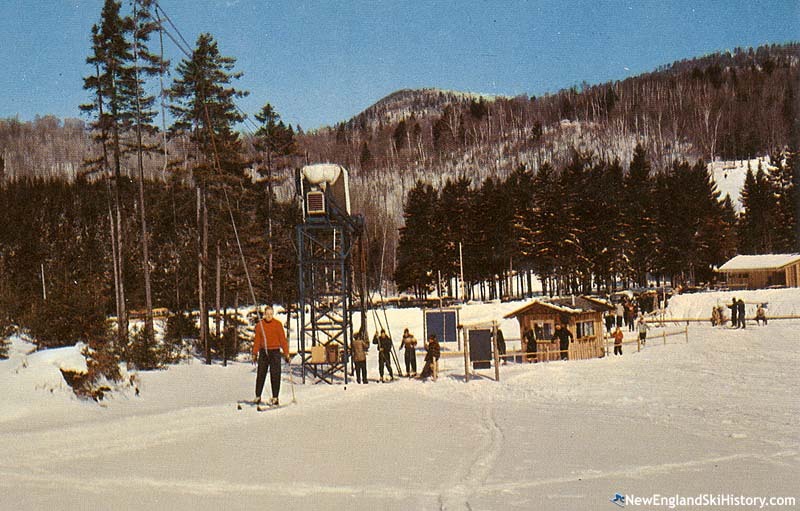 The new lift and trails were formally dedicated during Middlebury's Winter Carnival on February 19, 1955. A new 900 foot rope tow was added for the 1958-59 season. 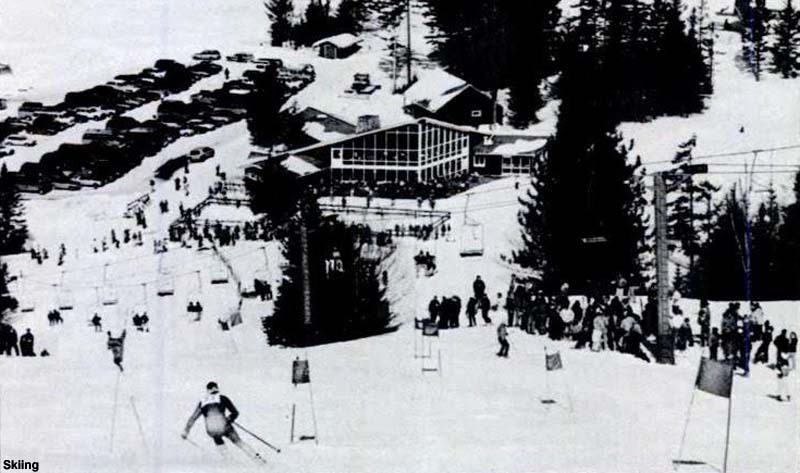 In March 1961, the Snow Bowl hosted the National Collegiate Ski Championships. Expansion continued in the 1960s, when the Neil Starr Shelter was constructed in 1962 and two shorter Pomalifts installed on the north side of the ski area in subsequent seasons. The Starr Shelter was billed as "the only base lodge in the country with a well-stocked library." Middlebury moved into the chairlift age in 1969, when the Worth Mountain Chair was installed to the summit. The original Pomalift was then relocated to open new trails on the back side of the ski area. Middlebury's second double chairlift, named after former coach Bobo Sheehan, was installed for the 1984-85 season, replacing a Pomalift. In addition, an $800,000 top to bottom snowmaking system was constructed. The system allowed the winter carnival to return to the Snow Bowl after five years of snow drought. Three years later, the Bailey Falls triple chairlift was installed on the east side of the ski area, allowing for continuous top to bottom runs for the first time. 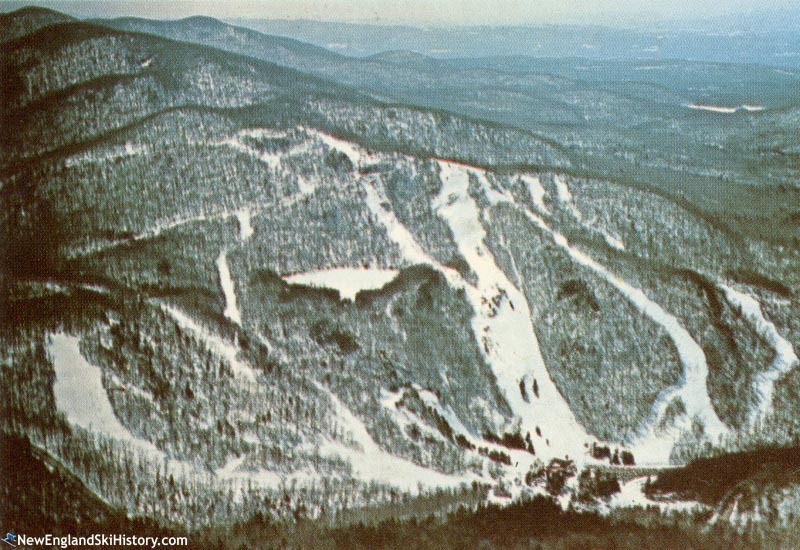 While the east side was reportedly envisioned as a new racing venue, attempts at installing snowmaking there were allegedly blocked by environmentalists. Nevertheless, the mid 1980s improvements resulted in season pass sales quadrupling and the area playing host to the 1988 NCAA National Collegiate Championships. Longtime employee Peter Mackey was named General Manager of the Snow Bowl circa 1995. The Starr Shelter received a major facelift for the 2003-04 season, when it was expanded from 7,500 to more 10,800 square feet as part of a $2.25 million dollar project. The expansion was spurred by a large anonymous donation. Circa 2009, word emerged that the Worth Mountain double chairlift was no longer up to code and that the ski area may close if a replacement could not be procured. Alumni quickly rallied, funding a new triple chairlift for the 2009-10 season. A boundary-to-boundary policy was adopted for the winter of 2011-12, making Middlebury a go-to for tree skiing. Peter Mackey retired in June 2018 after 40 years of working at the Snow Bowl. Starting with the 2018-19 season, Rikert Nordic Center Director Mike Hussey's responsibilities were expanded to include the Snow Bowl.